The other day, I was talking with an NBA scout, and I mentioned how I thought that, once you get past the top five or so picks, the 2019 NBA Draft looks like a brutally shallow draft class. The scout stopped me right there. "A draft is really judged three years from now," he reminded me. And it's true. Sure, this draft looks shallow -- but you can never really tell what sleepers lurk later in the draft. When Anthony Bennett was selected as the No. 1 pick in 2013, that draft was considered one of the worst drafts in recent memory. But that drafts looks better in retrospect, mostly because of two Europeans that few people were thinking about on draft night: Giannis Antetokounmpo and Rudy Gobert. The 2014 draft was looked at as a bumper crop of young studs. And while some upper-tier picks have worked out pretty damn well -- notably Joel Embiid -- as well as sleepers like Clint Capela, Joe Harris and Nikola Jokic, others in that draft have not worked out as hoped for: Andrew Wiggins, Jabari Parker, Dante Exum, Nik Stauskas and Noah Vonleh were all top-10 picks in that draft. A lot is going to change between now and June 20, when NBA commissioner Adam Silver will step to the podium at Barclays Center in Brooklyn. Some players -- like that dude at Duke -- are already guarantees. Other players will jump onto the draft map in a major way in the next few weeks, like Donte DiVincenzo did in last year's NCAA Tournament. And other players won't make their big jumps until the combine in Chicago in May; Kyle Kuzma wasn't considered a first-round talent until he killed it during the combine, at the athletic testing and in the interviews with team executives. There is a universe where a team could pick one of the next two elite prospects (Ja Morant or R.J. Barrett) over Zion. But that is not the universe we live in. The main reason Zion will go No. 1 is because he's a prospect like nobody we've ever seen: A supreme NBA athlete, with a developed skill set, in the body of a defensive lineman, and high character. But the reasons why there will be no other guy as a potential No. 1 pick are deeper than that: The ticket sales and league-wide relevance Zion will bring to a team, the echo chamber that is the NBA Draft, the pressure that's on a GM to take him. There's virtually no chance of anyone else going No. 1. He's a phenomenon. The range of comparisons I've heard about Barrett go like this: At best, he's a James Harden-like slithery scorer, who scores all over the floor and gets to the bucket with great creativity. At worst, he's a volume scorer in the Shabazz Muhammad mold (yikes). My guess is, obviously, that he's more Harden than Muhammad. Yes, there are concerns that he has tunnel vision when he's chomping at the bit to get to the rim. But he's the best natural scorer in this draft. For a team like the Cavaliers, who's especially in need of a star, Barrett has star potential. Think John Wall. Think De'Aaron Fox. Think Russell Westbrook. Think the sort of hyper-athletic point guard -- the type who could win the NBA dunk contest -- who pairs that with an excellent feel for the game. Morant was the first Division I player to average more than 20 points and 10 assists in a season since the assist statistic became official in 1983. According to scouts and executives I've spoken with, it's close to a guarantee that the top three will be some order of the two Duke guys and Morant. Yes, Garland is a bit small, a bit slight (think a Steph Curry-like build). But the dude can flat … out … shoot … the … ball. He can make buckets everywhere on the floor, with a ridiculous handle and great passing vision. The meniscus injury he suffered in his knee ended his collegiate season early, but there's enough belief out there in his skills that his injury will not hurt him in the draft process. There are two elite point guards in this draft; Garland might end up as a better player than the other one, Ja Morant. Sources close to Garland say that he's at 100 percent health now. There have been questions about Cam Reddish this season -- namely, does he have the killer instinct, and the motor, to be a star? "Is he going to be a 'sometime' player or a 'full-time' player?" one scout wondered. But the ceiling for Reddish is clear: He's got Paul George-like potential. He has ideal size for the type of wing who succeeds in today's NBA. "He's the picture of the small forward in today's NBA," one scout said. Reddish has been in an odd position for Duke this season, having to take a backseat to Zion and Barrett, but it could be good for him in the long run. Playing off the ball in college -- he was a point guard in high school -- could help jump-start him for the role he'll fit into in the NBA. He's the type of guy who may be a better NBA player than he was a college player. The fit with the Hawks has me really, really excited. There are people who were around Reddish a lot in high school who believe he's a better talent than his two Duke teammates. Culver is listed at 6-foot-6, but there's plenty of speculation -- around the NBA and around the internet -- that he's taller than that, and potentially still growing. Aside from Zion Williamson, it's possible Culver could have the highest ceiling in this draft -- and the floor isn't particularly low either. A long and athletic wing who can score from all over the court and do a little bit of everything is a valued commodity in today's NBA. He's skinny now, but on an NBA strength program, Culver could blossom into that ceiling-type player. He's also very emblematic of this draft, where there are often big disagreements about where certain players are slotted. Some people I've spoken with would put Culver a solid 10 slots lower. Maybe some overlap with Reddish, who I have going to the Hawks at 5 -- but in today's NBA, you can't have enough talented, athletic, two-way wings who can shoot it. Even though shooting isn't considered one of Hunter's biggest strengths, he's shooting nearly 50 percent from 3 this season. He's an incredibly versatile defender. Some will downgrade him because he's already 21 years old; I still love his multi-positional NBA potential, and so do most scouts I've spoken with. "I love his defense, but he shoots the ball better than people give him credit for," one front-office executive told me. "Look at how far his offense has come. He's still scratching the surface. He'll be more than just a 3&D player." Doumbouya is a big, big fella who has already been playing regularly against grown men in Europe. He's still learning the nuances of basketball, but the optimized version of him looks a lot like O.G. Anunoby. "Does he really have a position? These days, a lot of guys can play multiple positions," his former coach, Kyle Millings, told CBS Sports' Kyle Boone for this profile. "Sekou is very raw, but he can defend 1, 2, 3 and 4, he can play the 3, play the 4. He can do a lot of different things." Can he play point guard in the NBA? I don't know, but I'm not sure if it really matters. The dude is a natural scorer who can make buckets all over the floor. He gets to the rim, and he makes shots from really deep. Roy Williams has given him the green light as a freshman, and he's killed it. Scouts love that he's fast and he's quick, with that wiggle that helps him get to the rim. He splits defenders better than anyone in college basketball. The fact that his free throw percentage is above 80 percent as a freshman indicates he's got even more room to grow as a 3-point shooter. White wasn't even really considered a one-and-done player coming into college; now, it feels like he's a near-guarantee lottery pick. He was the leading scorer -- and possibly the most talented player -- on the U18 team that won the FIBA Americas championship last summer in Canada. Hayes is huge (6-11 with a 7-3 wingspan) and a very good athlete whose basketball skills will take a while to develop. There aren't many college basketball players this season who have been better around the rim -- on both ends of the court -- than Hayes has been for Texas. He's got mid-lottery potential. The knee injury that ended his season will get lots of scrutiny from NBA teams. Said one scout: "Once he matures, that's Capela Jr. right there." He runs, sets screens, dives, and accepts his role. Hachimura could take on the Taj Gibson role immediately. (Gibson is an unrestricted free agent at the end of this season.) He's a high energy, athletic four who can defend at a high level. The jump shot shows promise; he's making nearly half of his limited 3-point attempts this season, and he's shooting 74 percent from the free-throw line. Some NBA folks I've spoken with question his basketball IQ. But he's certainly got upside. You know who I'd really love to the Lakers? Someone like Kyle Guy, of Virginia, or Cam Johnson, of UNC -- knockdown shooters with serious college experience who'd be ready to win now alongside LeBron. But this is likely too high for either of those prospects. So Johnson, a freshman who can do a lot of things on the court -- including, crucially, shoot the 3 -- might be someone whose time under the Kentucky microscope can help prepare him for being under the LeBron microscope. The Lakers can't miss on this pick. They need someone who can contribute to a winning team immediately. If the Magic had a top-five pick, I could see them taking one of the top two point guards (Morant or Garland) in this draft to develop alongside the lottery ticket that is Markelle Fultz. But there's a huge gap between those two point guards and the next best one in this draft, likely Tre Jones. Jarrett Culver and Coby White would look good on this backcourt-starved team, too. This is a rough place for the Magic to pick in a very shallow draft. But in taking Langford, the Magic opt for the guy with the highest ceiling. It's been an up-and-down season for him, but if you're confident he can become a passable 3-point shooter (like the fellow mid-range savant Khris Middleton, a player he's often compared to, has), Langford has a high ceiling. There are concerns about his body language; he's utterly emotionless on the court -- but he could also be the type of player who kills it at May's combine in Chicago. "Somebody's going to take a chance on him," one scout said. Like his dad, Manute, Bol's greatest weakness is his lack of strength. And like his dad, he's a phenomenal shot-blocker. There's certainly risk here, and his season-ending injury only heightens that sense of risk. But the reward is great; the best version of Bol looks like a Kristaps Porzingis-like player, a big man who can make shots from all over the floor and be a major disruptor on defense. He's got a high ceiling and a low floor. One scout I spoke with said there's plenty not to like about Bol: "If you had to pick somebody at the top who has the best chance to have a bust, it could be him." But that same scout said he has him as a top-10 pick because the reward would be so great. Washington improved everything about his game since deciding to return to Kentucky for a sophomore season -- none more important than his shooting. Washington was suspect at best from 3 last season, hitting only 24 percent of his 3s and seeming like a reluctant shooter. Now he's turned that into a strength, making 3s at a 42 percent rate and forcing teams to respect him from distance. He's got NBA versatility, and he plays really hard. Little's stock has taken a hit during his freshman season, as he's only averaged 18 minutes per game for a deep North Carolina team with national title aspirations. But he's big, long and strong, a two-way player with explosive athleticism. This is high for Jones. But one NBA executive told me he could see Jones going higher than expected in a draft that's short on point guards. He's not the shooter that his older brother, Tyus, is -- his 24.7 percent 3-point shooting is alarming -- but he's an elite defender, perhaps the best perimeter defender in college basketball. He's got all the basketball intangibles and leadership skills of his brother. A team in need of a point guard like the Pistons could do far worse in this slot of a weak draft than nabbing a guy who at the very least is a solid backup point guard. There's also speculation out there that Jones could return to Duke as a sophomore for a more featured role, and to work on his 3-point shooting. As one scout said: His size and his shot are concerning, but you know exactly what you're getting with Jones. Fernando is a big fella with a lot of bounce, who does all of his damage around the rim. For a team that needs a lob-catcher and shot-blocker, Fernando could be that guy -- if he accepts his role. Nobody questions his body and his athleticism, his shot-blocking capabilities and his love for the game. Scouts do, however, question his hands and his feel for the game. 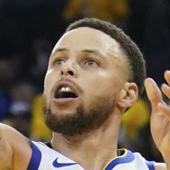 He does have a nice shooting touch; 76.8 percent free-throw shooting could foretell growth down the road as a shooter. Maybe the best 3-point shooter in this draft, making shots on high volume -- nearly 50 percent on nearly six 3s a game -- and with a quick release. His lack of strength and elite athleticism could hold down his ceiling, but Johnson has lots of the tools -- size, versatility, shooting -- that are most valued in today's NBA. Perhaps you heard that the Spurs lack 3-point shooting. No, he's not the greatest shot creator. But he's one of the best shot makers in this draft. "What do you need to do?" one scout told me. "He's 6-9 and shoots the heck out of it." On paper, Wilkes is exactly what NBA teams want: A long, athletic two-way wing who can make shots. While the consistency is a concern among NBA executives, the potential is certainly there for a very good NBA player. Alexander-Walker is a versatile two-guard who can shoot it from 3 (38.1 percent this season). He'd fill a role for a Thunder team that needs shooters who are also complete basketball players. A little short but a lot big. Horton-Tucker can do a little bit of everything on the court, and is one of the most switchy, versatile players in this draft. "He's got a real toughness about him," one scout said of the Chicago kid, who attended the same high school as Derrick Rose and Jabari Parker. Horton-Tucker is a winner. Okpala hasn't gotten the attention he might have gotten in a season when Pac-12 hoops wasn't so awful. But it's easy to see how he could excel in the NBA: A 6-9 wing who can put it on the floor, get to the basketball and finish. His shot has progressed nicely, from shooting only 22.6 percent on limited attempts from 3 as a freshman to shooting 37.5 percent on more than twice the attempts from 3 as a sophomore. A lot of room to grow. An elite and versatile defender. The new Pac-12 career record holder for steals, Thybulle is averaging 3.4 steals and 2.2 blocks per game this season in Washington's zone defense. He can shoot it from deep, too, shooting 36 percent from 3 in his career. Porter has the look of an NBA player, a 6-6 dynamic athlete with the body of a Jimmy Butler. He could easily be the type of player who, at the combine in Chicago in May, will wow people. His interviews with front offices may be even more important, as scouts have wondered about his character. A midseason suspension for "conduct issues" only furthered that feeling. The Clippers are building a culture, and are chasing guys with high character, guys who get along. It's tough to find a higher character player in college basketball than Williams. He's not the most physically gifted player, standing at 6-7 without elite athleticism, which explains why he was barely a top-200 recruit coming into college. But what he lacks in physical gifts he makes up for in effort, toughness and smarts. His free-throw shooting has steadily progressed, from 66.7 percent as a freshman to 82.6 percent as a junior, as his 3-point shooting -- not his strength -- has progressed as well, to a competent 34.1 percent this season. He's the type of guy you want in a locker room -- a winner. Clarke has the potential to become a modern small-ball NBA big man -- an elite shot blocker who can guard on the perimeter as well. Porter's torn ACL in October meant he didn't play a minute for Missouri his sophomore year -- which is a shame, because this is a player who could have shot up the board with a strong sophomore campaign. He's a very different player than his older brother, Michael Porter Jr. The younger brother has a bigger body and is a less explosive athlete, but Jontay is a strong, versatile and smart big man who can score in a variety of ways -- including from 3, where he shot 36.7 percent as a freshman. Perhaps his biggest strength is his natural feel for the game. Strong, versatile and a fantastic 3-point shooter, Schofield has a lot of the attributes today's NBA teams are looking for. He's tough and physical, and can score the ball in a multitude of ways. Schofield would be ready to contribute to a winning team immediately -- one reason why the Warriors would be a smart fit. Herro is one of the best pure shooters in this draft -- 37.3 percent from 3 and 94 percent from the free throw line -- and a key reason why Kentucky is a national title candidate. The Bucks can't get enough shooters on the floor around Giannis, so Herro would fit right in.